Choosing a translation agency is a crucial step for every company willing to expand to the foreign markets. The right translation agency will help you to promote business globally and make your product perfectly localized for the target audience. However, before choosing the translation agency, you should understand what you need, want and expect from the translation process. The absence of the answers for this basic questions may lead to the delay in execution of work or even to inappropriate translation. With a precise understanding of your translation needs, you will be able to prepare comprehensive terms of reference for the translation agency, ask the right questions and provide necessary background information so that the chosen translation agency can deliver top quality translation that is in line with your business goals. Will you have any further translation needs? Even if you do not expect large and continuous volumes of translation work, it is not recommended to use random translation vendors since this can have a detrimental effect on overall quality and consistency of translation. What types of services will be required? There are some other processes hidden behind the work of a translation provider depending on input document format and the required output: conversion into translatable format, correction of text produced by OCR from a scanned document (handwriting, poor quality PDF, images, etc. ), content analysis, preparation of project glossaries, terminological search, development of style guide, formatting and desktop publishing (in case of special file formats, e.g. InDesign, AutoCAD, Photoshop files). It is a rare case when document consists of a pure text. Usually, companies distribute rich content consisting of text, images with text, videos, tables, charts, and graphs. In case of software or website localization, translatable content may also be found in admin panel, menus and buttons, dialogue windows, and include software documentation, user guides, metatags, SEO-descriptions, and so on. Knowing what type of content needs to be translated will help you to determine the approximate scope of work and choose the right translation service provider based on the required specialization, experience and skills, and availability of translation tools for certain formats. Another important question to ask yourself before hiring a translation agency is your target audience. When translation is planned to be used internally to make quick decisions, the priority should be given to a timely performance of translation work rather than to perfect linguistic accuracy or style. On the other hand, if you need translation of marketing materials, which are aimed at large groups of customers, the quality of translation is of paramount importance. Thus you should consider a bit longer term for the performance of work. Knowing your target segment can also give you a hint on the cost of work and scope of adaptation. Creative copies require more time, efforts and analysis to deliver quality translation than ordinary business or general subject texts. In addition, translation in rare language combinations will cost you more than translation into wide-spread languages. For instance, translation from Japanese into Swedish will definitely cost you more than translation from English into Russian. What is your content style? Do you have a certain corporate style of communication with your target audience? Do you use specific terms or avoid using some words and word combinations? Or maybe you already have a style guide for all your documents? All this can help to establish better understanding between you and your translation provider, prevent possible controversies and increase the overall efficiency of translation work. In addition, if you don’t have any style guides, translation agency can also develop guidelines based on your preferences, taking into account linguistic experience and target market realia skillfully converting your brand identity into a foreign language to preserve the initial message. Of course, the list of questions may vary depending on many factors since every business has its unique features. 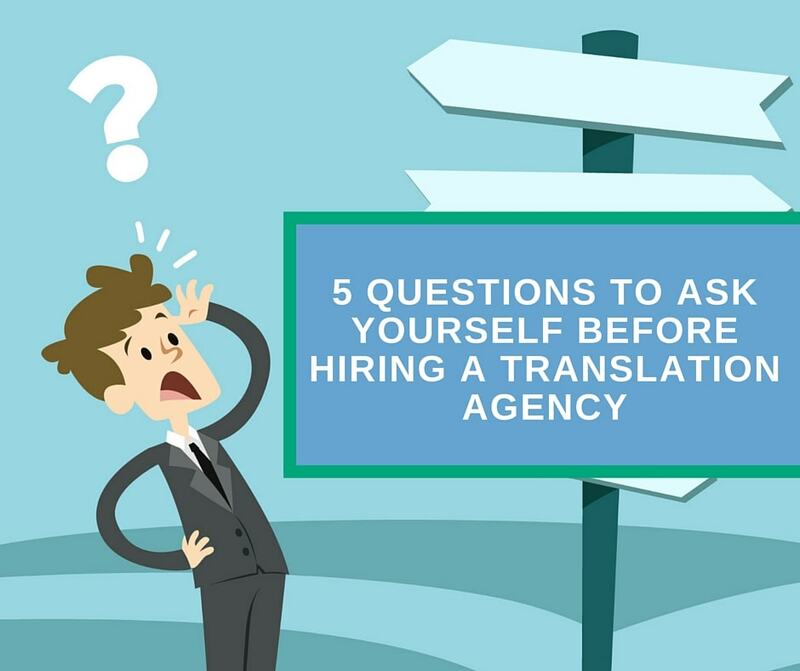 However, now you know the main points to consider before hiring a translator or a translation agency. Understanding what you want and what to expect from translation is the main step towards efficient cooperation with your translation agency. If you need professional English-Russian translation for your marketing, legal or technical documents, do not hesitate to contact me for a free quote via email simon(at)russiantranslator.pro, Skype: russiantranslator.pro or by phone: +996 773 91 52 69, +966 705 91 52 69 (WhatsApp)!